RRBee- IBPS RRB 2018 is a comprehensive Online Learning Course for preparation of IBPS RRB office assistant & SCALE I officer-2018 Exam (Prelims and Mains). This Online Course is designed by Ms. Arunima Sinha (Coach for Banking exams for 7 years, Ex-Manager SIDBI, Ex-Bank PO), Mr. Chandraprakash Joshi (ex-RBI GR B, MBA-Finance, PhD) and Mr. Karan Sardana (Coach for Bank, SSC, Insurance, Police MAT, CLAT Exams for 10 years). Weekly Live Online Classes for doubt clarification with the subject experts. For Prelims, the entire syllabus of Quantitative Aptitude and Reasoning through Video Lessons & Live Discussions will be covered. For Mains, the course covers Reasoning, Computer Aptitude, Numerical Aptitude, General Awareness and English Language relevant for the exam, again in the form of Video Lessons & Live Discussions. All the Video lessons have to-the-point, crisp and relevant study content. Video Lessons are followed by concept clearing questions (Offline/Online Assignments) to check progress and for reinforcement of learning. The course also provides enough practice in the form of Mock Tests, Assignments and Concept Clearing Questions after each Video Lesson. Access to all Video Lessons, tests, and other study material will be provided till one month after the Mains exam. Live online classes will be conducted by Ms. Arunima Sinha, Mr. Chandraprakash Joshi and Mr. Karan Sardana for discussions and doubts clarifications. The course is primarily in English, but video lessons/ mock tests are available in Hindi also. In live classes, students may ask questions in English or Hindi. Why Choose RRBee- IBPS RRB OFFICE ASSISTANT & OFFICER SCALE-1 Exam Online Classes? RRBee- IBPS RRB OFFICE ASSISTANT & OFFICER SCALE-1 2018 Online Course covers entire Syllabus for Prelims and Mains Exam of IBPS RRB-OFFICE ASSISTANT & OFFICER SCALE 1 EXAM. The course has more than 250 video lessons with appropriate and useful study content in a crisp and easy to understand manner. The course includes 15 full Length Mock Tests for IBPS RRB OFFICE ASSISTANT & OFFICER SCALE 1 EXAM each: 10 Mock Tests for prelims & 5 Mock Tests for Mains Exam. In addition to Mock Tests, the course provides more than 5,000 practice questions for reinforcement of learning in the form of Assignments, Quizzes and concept clearing questions after Video Lessons. Apart from study content; Guidance, Tips and Preparation Strategy from Subject Experts at each stage of preparation is also provided. IBPS RRB - Live Online Classes with Subject Experts /Program mentors are conducted for Doubt Clarification. Provides the comfort and ease to study at your pace and timings. Q. How to enrol for the course? A. Click Here to subscribe to RRBee: Online Course for IBPS RRB Officer Assistant & Officer Scale I -2018. In case any more clarification/assistance is required, please call at 92055 24028 or send an email to info@ixamBee.com. Q. In which language is RRBee- IBPS RRB Officer Assistant & Officer Scale I -2018 Online Course available? A. The Video Lessons are available in English. In Live Doubt Clarification Sessions, students may ask/communicate with the mentors in Hindi or English. The Mock Tests will be available in Hindi & English. Practice Questions will be available in English Only. Q. Who are the Subject Experts/ program Mentors for the course? A. Ms. Arunima Sinha (Coach for Banking exams for 6 years, Ex-Manager SIDBI, Ex-Bank PO) is the Program Mentor for Quantitative Aptitude, Reasoning, English. Have a look at detailed profile of Ms. Arunima Sinha..
Mr. Chandraprakash Joshi (ex-RBI GR B, MBA-Finance, PhD) is the Program Mentor for General/ Banking Awareness. Have a look at detailed profile of Mr. Chandraprakash Joshi..
Mr Karan Sardana (Coach for Bank, SSC, Insurance, Police MAT, CLAT Exams for 10 years) is the program mentor for Quantitative Aptitude and Reasoning. Have a look at detailed profile of Mr. Karan Sardana..
Q. How to access the Video Lessons? A. The Video Lessons are available for viewing on ixamBee Website/Dashboard. You need to login to www.ixamBee.com> Dashboard > Online Class Material > RRBee- IBPS RRB Office Assistant & Officer Scale I -2018 Online Course > Select the subject and click on the Video Lesson you want to watch from the list. Q. Are all Video Lessons accessible on enrolment? A. Approx 80%-85% of videos Lessons will be available as soon as you enrol for the course. Further Video lessons will be made available in a sequential manner to maintain a proper flow and help in the ease of understanding of concepts. New Video Lesson upload will be informed through email. Q. Are all the video lessons available for viewing anytime/multiple times? A. Yes, any Video Lesson uploaded once can be viewed anytime/ multiple times on ixamBee Website. Video Courses will be available for viewing till 1 month after the Mains exam is over. Q. Can the Video lessons be downloaded? A. No, the video lessons cannot be downloaded and will be available for viewing on ixamBee website (www.ixamBee.com) only. Q. How are the Online Classes Conducted? Q. Is there any specific system requirement for viewing the Video Lessons/attending Live Classes? Q. What happens if someone misses any Online Live Class? A. We encourage all participants to attend Live Online Classes. Even if they don’t have any doubt themselves, the discussion that happens over doubts of others’ is also very enriching and helpful in exam preparation. Sometimes very important points are discussed as part of these discussions. However, in case of genuine reasons for not being able to attend a class, we may decide to share the recording of the class, on case to case basis. Q. What time are the Live Online Classes Conducted? A. The Live Online doubt clarification Classes will be conducted weekly in evening at 9.30 pm. Chandraprakash Joshi has 13 years of senior level experience in banking and finance sector. Before starting ixamBee.com, he was Senior Vice President with YES Bank. 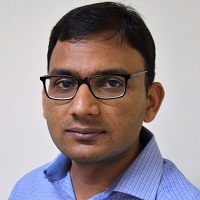 He joined RBI as Grade B Officer in 2004 (All India 5th rank) and in 2008 he was promoted to Assistant General Manager (Grade C), one of the first three in his batch who got promoted in 2008. He was also a nominee Director in two Regional Rural Banks. Prior to RBI he has worked in Oriental Bank of Commerce (Agriculture Officer) for about a year. He has extensive experience in Banking operations, Risk Management, Banking Supervision, Policy Planning, Currency Management, Rural Banking, Microfinance, and team building and team leading. He is an agriculture graduate and PhD in Development Communication form GB Pant University of Agriculture and Technology, Pantnagar. He has published several research papers in national level journals. He is an MBA (PGPM) in Finance & Strategy form Indian School of Business, Hyderabad. Chandraprakash is the faculty for Economics & Social Issues and Finance & Management for the Phase II exam. He will also take the General Awareness Session for Phase I of the exam. Arunima Sinha started her career with Indian Overseas Bank as a Probationary Officer in the year 2000 and later joined Small Industries Development Bank of India (SIDBI). She has a decade of work experience and has exposure in various areas of Banking like Credit, Recovery, Micro-finance, etc. To follow her passion of training and guiding students, she quit the banking job and started to mentor, train and teach students, for chasing their dreams for a rewarding career in Banking and other competitive exams. In January 2011, she founded STRATAGEM, a tutorial school to prepare students for Banking and SSC exams in Dehradun. It started with a modest first batch of five students and turned out to be her true calling. To her surprise, all the five students got through the written test that year and finally four of them became Probationary Officers. Over the last five years, she has counseled hundreds of students and a large majority of them have been successfully working in banks and other government jobs. Arunima is Graduate in English Honours from St. Xavier’s College, Ranchi. 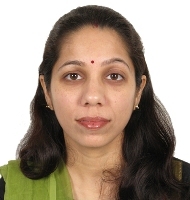 She has also done JAIIB and CAIIB (Certified Associate of the Indian Institute of Bankers) from Indian Institute of Banking and Finance. She has published a Book ‘Reasoning for Competitive Exams’. Karan Sardana is passionate senior aptitude trainer, Karan Sardana is one of the co-founders of Vidya Guru. He has taught thousands of govt job exams aspirants and helped them to clear the exam with short cut , time saving techniques and very basic points. 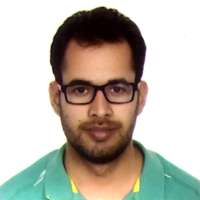 Karan has more than 10 years of experience of teaching maths and reasoning for all main competitive exam. He has worked with Sachdeva new pt college, Career Launcher and many colleges. He has graduated in Mechanical Engineering. At ixamBee, Karan is the faculty for Quantitative Aptitude and Reasoning.